I’ve talked before about the American Express Platinum personal card with its current sign up bonus worth $1,025, a rebate of 102.5% of the minimum spending requirement. 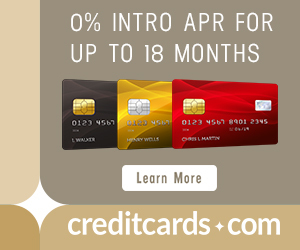 Click here for the top current credit card sign up bonuses. 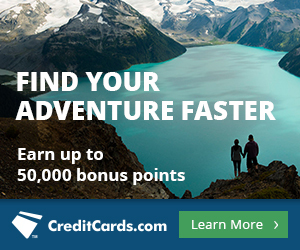 One of the benefits that makes the Mercedes-Benz branded version of this card the current third biggest sign up bonus is that you can get $400 worth of airline fees reimbursed by American Express in your first year of being a cardholder. That’s because the $200 annual airline fee reimbursement is a calendar-year benefit. For instance, I got my AMEX Platinum in November 2011. I immediately designated American Airlines as my 2011 airline for fee reimbursement and purchased three $67 gift certificates from aa.com. I received a $200 statement credit within a few days. In January 2012, I changed my airline to United for 2012 fee reimbursement. I bought a $200 gift certificate from united.com, and again I received a $200 credit within days. In it, I mentioned that I used the United gift certificate for a flight from Tampa to Washington-Dulles for $102.80. Indeed I thought I had! But as I was checking another itinerary on united.com, I saw that TPA-IAD was listed as confirmed but not ticketed–weeks after I thought I had ticketed it. I looked into my emails, and I found that I had received confirmation of the purchase from United. Great! It’s “confirmed.” They’re just “processing.” Everything’s fine. Except everything wasn’t fine. I had never received a follow up e-ticket confirmation email, and I hadn’t noticed. United never ticketed my itinerary. Nor did United alert me that there had been a problem. I would not have found out there was a problem until I signed into my account to check in if I didn’t sign into my United account almost every day. I immediately called United. They couldn’t find my itinerary. I would have complained, but a quick search at united.com showed that the flight I wanted was now $24 cheaper. That meant that as soon I confirmed the first try hadn’t ticketed, I tried to purchase the itinerary again at the new, cheaper price. But on my new purchase attempt, my gift card was getting error messages. I called the support number, and it took the agent 20 minutes to reconstruct my one segment itinerary and get my gift certificate approved. In the end, though, the phone fee was waived as it should have been since I tried to book online, and I got the flight for $79–a savings of $24. I wrote the rest of this post about a week ago. When I wrote it, I thought my itinerary had finally been ticketed. I was wrong. One week after I had tried for a second time to book a flight to Tampa, United called me. The agent informed me there had been a problem with my payment method–the gift card. The call was a bit mysterious. I thought she was putting me on hold, but she hung up. So it only took three tries to ticket my one segment itinerary! I had an issue with a United gift certificate I bought with my American Express Platinum card. My first attempt to purchase a flight with the gift certificate appeared to succeed, but my purchase was never ticketed. United never contacted me about the issue, but luckily when I noticed the problem, my preferred flight was $24 cheaper. Trying again to use my gift certificate, I received error messages online, but I eventually succeeded in using the gift certificate over the phone. Or so I thought. A week after the second try, United called me to say that my second try had failed to ticket also. The agent said she would take care of it, and a week later, I finally got a confirmation email. Has anyone else had problems using their airline gift certificates? For which current gift cards are being reimbursed as airline fees, see the American Express Membership Rewards Forum on FlyerTalk. How strange, good thing this happened to you and not one of your award booking customers. United is a bit screwy sometimes. Amazing – pretty much the exact same thing happened to me last month, and I thought it was a random (if maddening) thing. I had two tickets that I’d bought for my girlfriend and me. I bought them separately, so I could use a United gift certificate for each. Long story short, I wound up stranded in Dayton, Ohio because United hadn’t issued me a ticket. I also had gotten an email from United saying that they’d charged me, but, like you, they had never actually generated an e-ticket for me. Bizarrely, my girlfriend was ticketed, no problem – so it’s an inconsistent problem. Even more bizarrely, when I check my e-gift certificates on United’s website to see if they’d been charged, the website tells me that the number are invalid. Even MORE more bizarrely, I had actually booked an additional pair of tickets for a quick Labor Day trip, using two more e-certificates (I did this before United left me high and dry in Dayton). When I looked into that itinerary, United hadn’t ticketed THOSE either – and had no track of my ever making the reservation! I have a complaint ticket on file with United (for which they’re not setting any speed records in resolving, of course), to try and clear this up. But I’d advise anyone out there, using gift certificates to buy United airfare – don’t assume that United.com is capable of actually *selling you a plane ticket*. Truly amazing. I work in IT, and if I pushed out software that works as badly as United.com is right now, I’d lose my job. EXACT same thing happened to me as the above commenters. Spend the certs, but don’t receive a ticket, yet the certs no longer have value. Extremely bizarre and I would imagine borderline illegal? Any experience with AA certs? I am sitting on top of $1200 in certs on AA and your experience with United makes me anxious. TPG had an even crazier experience with United’s ticketing system on partner award travel (even though United ticketed it, the partner airline couldn’t issue him a boarding pass.) Reading the comments on the thread made me paranoid for all United partner airline award reservations. I just booked now trying to use the gift certificates. Spent 30 min online, no luck. Called the # displayed for “web support” which you have also shown in the screen shot. First time I called, was on hold for 30 min, and then they hung up . Second time I called, I spent 1 hr on the phone, provided the gift certificate # a few times, repeated it back, they investigated, at the end they said it was resolved and I’ll receive an email confirmation in 4-6 hours. The next morning, I did not receive any email confirmation, called regular reservation hotline — they have no record of that conversation, had to start over. Ultimately, I just booked my flights without the gift certificates. I’m wondering — are these gift certificates even REAL? Are they ever usable, and if so, under what circumstance? And the amazing thing is that United is STILL Selling these online! How are they getting away with this?? So in the 2 years, nothing has been fixed. Have they kept this ‘gift card’ product because the margins are so high? Amazing. Same thing here, same error. I’ve been back and forth on hold for over an hour with United to apply my gift certificates. Their system is completely broken. Do not, under any circumstances, purchase United gift certificates. It’s too much of a time consuming hassle!! Just wanted to add a little follow-up information. I’ve continued to buy gift certificates from both United.com and AA.com, taking advantage of my Platinum AmEx benefits, or receiving them as compensation from the airline. I’ve successfully used gift certificates for both United and American, although United is *much* more restrictive. United Airlines will only allow you to use *one* gift certificate at a time, and in general, you’ll find it more difficult (or impossible) to use it on a one-way flight, as opposed to a round-trip. Even stranger … you *can’t* apply a gift certificate to a ticket if you’ve purchased Economy Plus! You need to buy the ticket first (with the gift certificate), confirm that it gets ticketed, and *then* go back and upgrade your reservation to Economy Plus. United’s ticketing system and website needs some serious attention. American Airlines, on the other hand, is much more flexible: you can use multiple gift certificates with no problems. I’ve purchased one-way tickets on AA with a combination of four gift certificates and a credit card, without any issues. Hah. Found this site while searching for “united airlines gift certificate rules” because I’m having the same exact problem you all had. It’s now 2015 and they still will not allow you to apply more than 1 gift certificate. Oh yeah, and you have to apply the certificate as an “offer code” at the beginning of your search. Want to pay for your flight with a certificate at the checkout screen? Nope! You have to cancel out of your booking and start over. Also got confirmation from a phone rep that you cannot use certificates on an itinerary that includes an alliance partner. It’s gotta be United operated flights all the way through. I’m bookmarking this page. Will probably come back here in a couple years to see that nothing has changed and the same crap system is still in place. I’m pretty sure at this point my $400 in gift cards from Amex will still be unused come that time. Welcome! This site has a lot more to offer. Sign up for the daily email! I’m sorry that happened to you. Good luck.